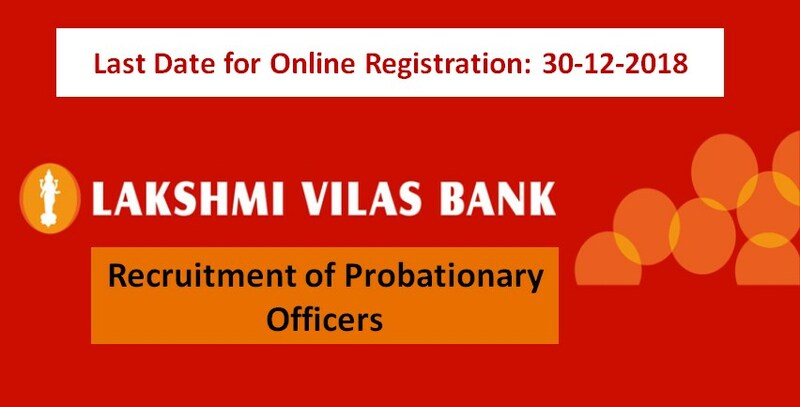 The Bank invites online application for the post of Probationary Officers. This is the great opportunity for those candidates who have been waiting for a long period. Graduate from regular college with 60% marks. Fee: INR 700/- (Mode of payment is online. Pay through a debit or credit card. No other mode of payment is permissible). Selection Process: Online Examination, Group Discussion & Personal Interview. 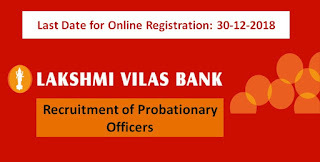 How to Apply: Candidates who are eligible for this positing can apply online through official website of Lakshmi Vilas Bank Limited. Before filling the online application form, the candidates must read official notification of bank.